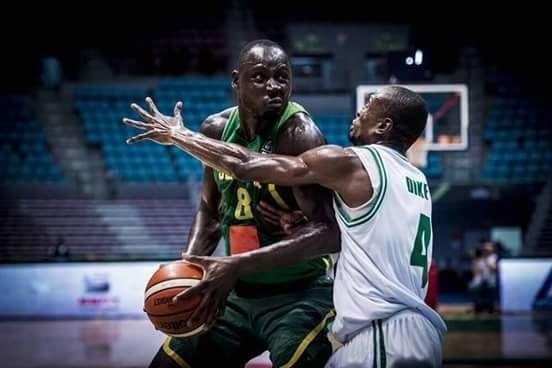 The Nigeria Basketball Federation has reeled out the list of 16 players invited to camp for the FIBA Africa organized 3x3 championships to be held in Lome, Togo. The 3x3 men and women's teams will be in camp for 8 days starting from November 1. The Women’s team will be led by Nkechi Akashili and Chioma Udeaja both of First Bank Women Basketball Club of Lagos. The duo were members of the 2017 Afrobasket women championship winning team in Mali. The list released on Monday also has Chidinma Deborah and Nkemuwa Akaraiwe of First Bank who were also part of the Afrobasket preparation. IGP Queens Basketball club duo of Grace Okonkwo and Christiana Isaac and Dolphins’ Roselyn Queen Ulabo as well as Josette Anaswem complete the list of invited female players. For the men, 8 players were drawn from Kano Pillars, Civil Defence, Rivers Hoopers and Kwara Falcons for the apex 3x3 basketball event in Africa. Yahaya Abdul, Azuoma Dike and Lucky Subel were invited from Pillars for the camping exercise which will be held at the Indoor Sports Hall of the National Stadium, Lagos. Joel Ijigba of Civil Defence, River Hoopers of Port Harcourt players, Alalibo Owelem Ronald and Ebikoro Dennis Eteimowei and Kwara Falcons’ David Godwin complete the list of invited players for the men. The teams will be coordinated by the Federal Capital Territory Basketball Chairman who is the Director of 3x3 Nigeria, Frank Jituboh. ALSO WATCH: Bounce Kiddies Talk: Do You Like Boys/Girls As Friends?